Art-B-Qs best encapsulate the essence of Mount Tremper Arts: the cultivation of community and new artworks in situ. 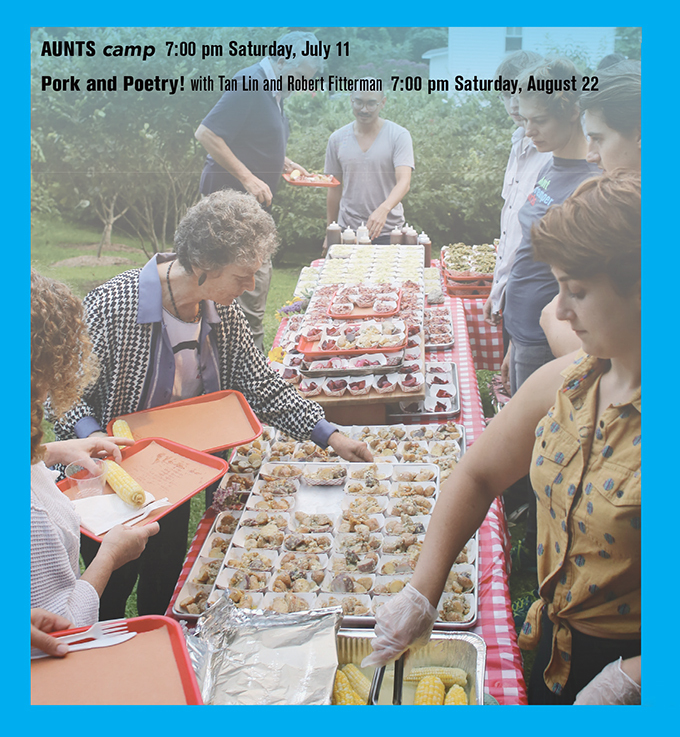 In these hybrid evenings, artists and audiences share conversations over a delicious meal inspired by the MTA garden, followed by a presentation of works developed during intensive, on-site residencies. All perspectives are welcome as we find the lively intersections (and digressions) between rigorous contemporary art practices and many other walks of life. Dinner is prepared by Artistic Director Mathew Pokoik and Summer Festival chef Ethan Knechel. Each menu includes a meat or vegetarian main, two sides, and a dessert. Meats are provided courtesy of Applestone Meat Company; produce is harvested from both the MTA garden and local farms. Advance tickets are highly recommended, and include both art programming and dinner.